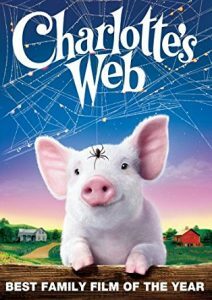 Charlotte's Web is a 2006 American live-action feature film based on the 1952 children’s novel of the same name by E. B. White. The screenplay is by Susannah Grant and Karey Kirkpatrick, based on White's book. These classic children's books are heartwarming tales of friendship with animals, real or imagined, who have touched our literary hearts. On an island off the coasts of Virginia and Maryland lives a centuries-old band of wild ponies. Among them is the most mysterious of all, Phantom, a rarely seen mare that eludes all efforts to capture her - that is, until a young boy and girl lay eyes on her and determine that they can't live without her. Young Travis faces a test of manhood when his heroic dog is bitten by a mad wolf. The escapades of four animal friends who live along a river in the English countryside - Toad, Mole, Rat, and Badger. Includes illustrator's note.